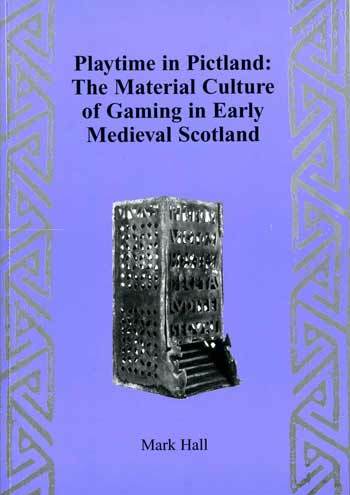 In this study by Mark Hall, the nature of the evidence for board and dice games in early medieval Scotland, particularly in Pictland, is investigated. The significance of that evidence is also explored. Surprisingly, perhaps, there is a rich diversity of evidence for the playing of board games and the use of dice during this period. However, precise rules and the exact range of games remain elusive. It is suggested that to varying degrees, leisure time is an element of culture shared by all levels of society, no matter how stratified. The diverse range of types of material used to make gaming pieces is indicative that this leisure pursuit was not just for the elite. It seems that until c700AD playing such games seems to have been socially widespread. By the closing centuries of the 1st millennium, skill on the gaming board had become one of the attributes taught to social elites. But this does not necessarily mean that this form of leisure pursuit was in any way restricted to those with power.